Google AdSense keeps on changing their features, concepts and policies. We have had a post What is Page CTR ? CPC ? RPM ? eCPM ? very early which was about explaination of Google AdSense report key words. But after that time, Google seems started to use “Impressions” to replace “Views” in most of places in a report, so what is Impression? You might have already known Amazon, but let me introduce something for newbie: Amazon is an electronic commerce company in US, but it still provides branch websites in different countries. Amazon is also well known by its another famous service: the biggest cloud computing service provider in the world. Amazon provide their own affiliate service. 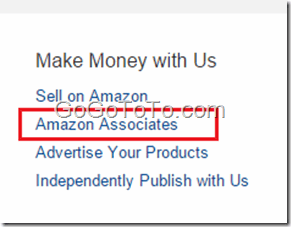 They do not call Affiliate Program but call Amazon Associates. 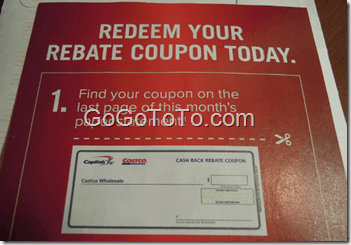 The most popular Amazon affiliate program is referrals by advertising their products. Currently on Canada Amazon, we can earn up to 8.5% commission; on USA Amazon, we can earn up to 10% commission. So now let us start to register their Associates. Actually if you have already an Amazon account, you can login using your existing account directly. Here let us ignore the register process. There are more and more people are using emails to transfer money among banks, also there are lots of people are cared about how the security using emails and how it works. About how it works using emails to transfer money, we will not talk details in this blog. actually most of banks use this kind of services with another services provider named Interac which provides Interac e-Transfer. About more info please read the official website. Here is a sample that opening an account on Questrade website. We do not want to introduce Questrade here, but just try to open an account using friend referral. Why using friend referral ? Because Questrade has a promotion now: if your friend refers you, your friend will receive $100 in free trades, and you will get $50 free trades, Why do not choose it if you really want to open a Questrade account ? We received lots of similar emails about we could get tax refund. some of them were blocked by our email system and put to junky email box but still there were some were sent to our InBox . Please DO NOT read them, if you have already read, please DO NOT click any links or buttons which are in content, and DO NOT open any attachment ! We write blogs just started from one day when we read John Chow’s story, a professional blog writer and a “blog business man”. We call him blog business man just because he can earn enough money using his blog. OK, for the beginning of this article, we do not want to deep to John Chow’s blog and his business. because there are too many articles about John Chow in the internet. Now we just want to learn something which we don’t know or we have not tried them yet. See here, John’s a common Blog Income Report – September 2008. In 2008, John even did not use Google AdSense. But Google AdSense is our main supporter currently. We think this is the one of reasons why we can still only get small money. We must learn more from John Chow. What does LinkShare’s ‘Return Days’ mean? In your LinkShare account, you can see the following items in advertisers list, the Return Days items is hard to understand. So what is Return Days? Visitors may not always complete a purchase at the point of click-through. The Return Days, or Return Day Benefit Policy feature allows advertisers to compensate you for sales that occur after a visitor’s initial click-through from your site.